It was just 70 years ago when Al Cassell opened his lunch counter with the mission to serve exceptional dishes made with high-quality products and his own set of meticulous methods. Then, Cassell’s Patio, the cozy alcove was adored by loyal regulars for having one of the most scrumptious burgers around. What seemed to make Cassell’s burgers so special were the fresh and delightfully flavorful U.S.D.A. patties that he ground in-house daily for decades -- that and well, the homemade mayo that also made his egg salad and tuna salad so superlative. Better yet, each burger was made to order, served simply on a bun with or without cheese, and it was up to you to dress it with toppings. However, as the story goes, the years passed and the neighborhood changed. After decades of business, Cassell’s was then passed on to new ownership. In December of 2014, Chef Christian Page, formerly of Savoy in New York as well as Nancy Silverton’s Short Order, along with architect and hotelier Jingbo Lou, were given the exciting opportunity to re-imagine the authentic classic within the historic Hotel Normandie -- just blocks away from the original location. Owner Christian Page, the man behind the patty melt that has melted even David Chang’s heart, has soared through the culinary realm since he was just a teenager. His wife Elia, also a remarkable chef, trained at Ecole Lenôtre and later became the first female sous chef of Joël Robuchon, later opening his restaurants in Las Vegas. Elia is Cassell’s pastry chef. The newest facet of Cassell’s Hamburgers, located in the neon-clad veins of Downtown off of 8th and Hill Street, brings quintessential diner vibes that the neighborhood evidently needed -- as well as possibly the most authentic burger in LA. Sharing a wall with upscale dive Golden Gopher, and right across the street from Freehand, the accessibility and location of the classic burger joint is no less than prime. 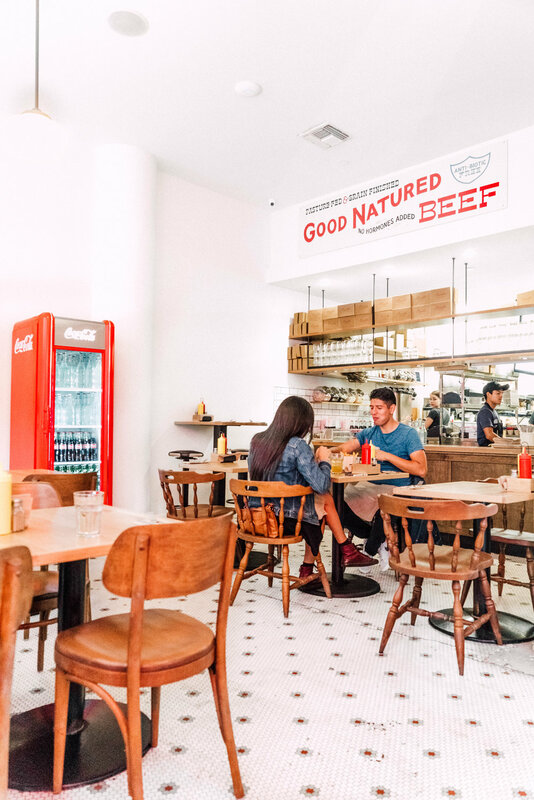 The interior was designed by Jingbo Lou and stands true to its vintage roots with stacks of white tile and vintage signs adorning the walls above wooden chairs from the original Cassell’s. The name may be in different hands, but the goal remains the same. 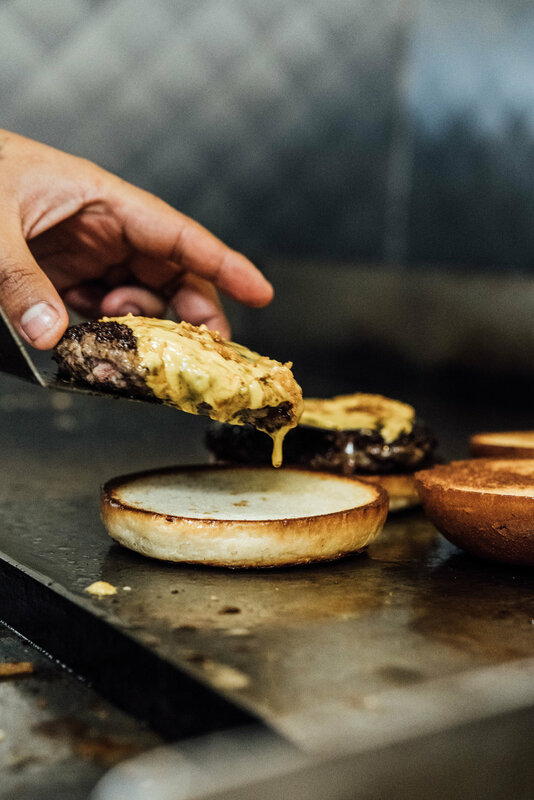 The same mindful practices that Al Cassell practiced since day one, such as grinding meat fresh daily, cooking from scratch, and using quality ingredients is what sets Cassell’s Hamburgers apart. In addition to Cassell’s famous burgers, sandwiches, milkshakes, and more, the DTLA location offers a selection of exclusive items that aren’t available at the other two locations. Deli sandwiches such as a masterfully executed Cold Cut Combo stacked between fresh, homemade ciabatta baked daily by Elia have been added to a selection of standing favorites such as the DFC Fried Chicken Sandwich and their tuna melt. 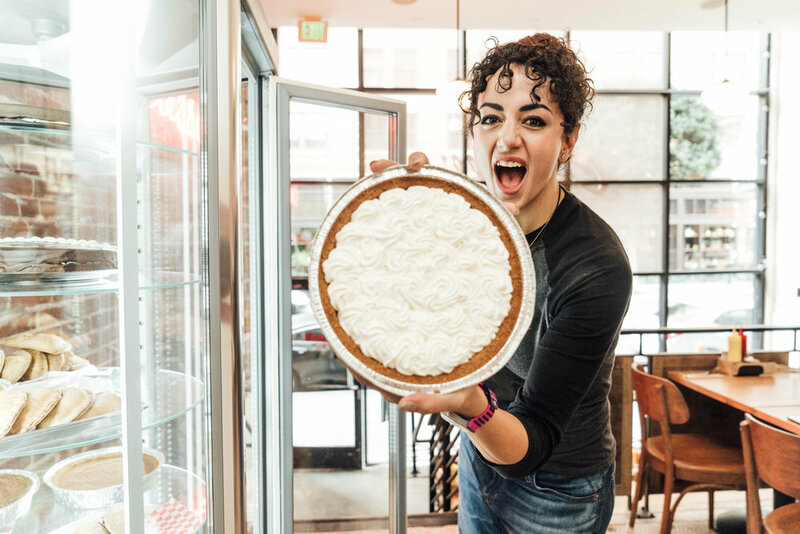 On the pie front, the DTLA location will offer their classic flavors in addition to a variety of hand pies and a King Ding Dong that you can order whole or by the slice. The party doesn’t stop at the door. Better yet, a kiosk inside Golden Gopher allows you to order a meal without even leaving the bar. When your order’s up, you will receive a text to retrieve your order from Cassell’s and are encouraged to bring it right back into the bar to savor with a cocktail. 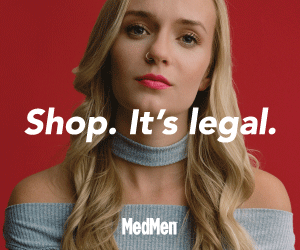 You can also enjoy Cassell’s without leaving the comfort of your home by order through ChowNow, Postmates, UberEats, Grubhub, and DoorDash and Cassell’s Hamburgers DTLA is open from 11AM to 11PM daily.